October 3, 2012 Steve MillerLeave a Comment on Dream On, Adam Greenberg! It’s time for the feel-good story of the year, or rather, of the last seven years. 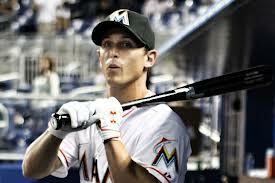 Last night, October 2, 2012, Adam Greenberg came full circle to record one at bat, and finish his big league career. In July of 2005, Adam Greenberg, a minor league prospect, was called up to the Chicago Cubs, and was set to make his major league debut in South Florida during a series against the Marlins. Two days after his promotion, Greenberg stepped into the box for the first, and for the next seven years last, time. The first pitch from Valerio de los Santos blazed into the side of Greenberg’s head at 92 mph. He briefly lost consciousness and was eventually placed on the disabled list. The following weeks proved difficult for Adam. He suffered through severe pain and headaches, and had chronic vision and balance problems as a result of positional vertigo. Throughout the next six years, Greenberg spent time with various teams in various leagues. In 2009, he was invited to spring training with the Cincinnati Reds, but did not make the team. Many baseball fans during these years knew the story of Greenberg as he was one of just two players in history to have been hit by a pitch in his only major league plate appearance. However, he did not regain major notoriety until this season when an avid Cubs fan launched the “One At Bat” campaign for him. Greenberg himself endorsed the endeavor, and made his desire to record one real major league at bat known. In a true sign of reconciliation, the Miami Marlins Greenberg agreed to a one-day contract last week in which he would get one at bat in the October 2nd home game against the Mets. The team that would have been the terminator of Greenberg’s major league career was rewarding him with a real consummation. As luck, or lack thereof, would have it, Greenberg’s one at bat came in the sixth inning against the knuckleball-throwing, 20-game winner who is R.A. Dickey. While receiving a standing ovation from the warm Miami crowd, the optimistic outfielder strolled to the dish to the blaring tune of “Dream On,” by Aerosmith. From this point, tangible success would have only been icing on the cake. Unfortunately, Greenberg struck out swinging on three pitches, but he looked like a big leaguer while doing it. In a not-so-serious major league sub-department, another long-awaited event occurred. 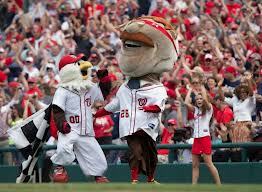 Teddy Roosevelt, or at least his big-headed Nationals’ racing mascot, won a race on the day the Nationals won to close out their best season in team history. If the last week of the regular season can bring us this much excitement, I cannot wait to see what is in store for the playoffs.